The funeral for Edgar Ver Steeg, of Hancock, Minnesota will be held on Friday, April 19, 2019 at 10:30 a.m. at the Christian Reformed Church in Hancock, with Reverend Harrison Newhouse officiating. 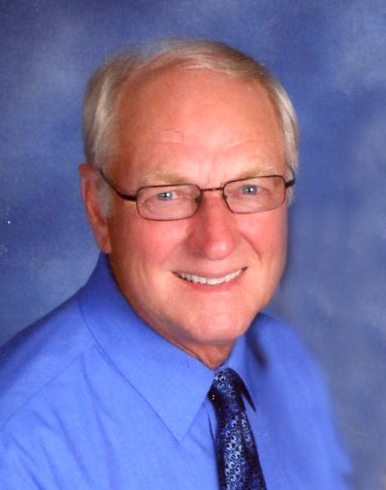 Visitation will be on Thursday, from 5 to 7 p.m. at the Pedersen Funeral Home in Morris, Minnesota, and Friday, one hour prior to services at the church in Hancock. Burial will be at Lakeside Cemetery, Hancock. Edgar Joe Ver Steeg was born on the family farm, on August 26, 1941, to Raymond and Clara (Van Heukelom) Ver Steeg. He grew up and was raised on the dairy farm in Hancock, MN, where he learned the importance of hard work and became passionate about farming. He later owned and operated the family dairy farm. There is no one prouder to own a John Deere. Edgar sold the dairy cows in 2003, but continued farming until his death. He met the love of his life in high school, when Sheryl (Van Zee) Ver Steeg asked him to a Sadie Hawkins dance. The couple married on May 22, 1964. Their marriage was blessed with two children: Randall Ver Steeg & Stephanie (Ver Steeg) DeLisle. Edgar was a dedicated husband, father, grandfather, brother, and friend. He cherished his time with his children and grandchildren and loved watching them compete in sports. He was known for throwing his coat in the air in celebration after a win or kicking his hat down the hallway after a tough loss. Edgar was a lifelong member of the Hancock Christian Reformed Church and was very strong in his faith. He served on church council for many years. He served in the United States National Guard for 6 years. Edgar was also a member of the Board of Directors for the Hancock Coop for many years. He had a love of music and enjoyed singing with his brother and close friends in the Quartet. God welcomed Edgar into Heaven on April 16, 2019, after a 20-year battle with cancer, at the Courage Cottage in Morris, Minnesota. He was 77 years old. Edgar is survived by his wife of 55 years, Sheryl Ver Steeg; son, Randall (Denise Garoutte) Ver Steeg of Glenwood, MN; daughter, Stephanie (Joe) DeLisle of Cape Coral, FL; six grandchildren, Austin, Abby and Aaron Ver Steeg and Amber, Mackenzie; and Maxamilian DeLisle; three brothers, Sonny (Theora) Ver Steeg, Jerry (Carol) Ver Steeg, John (Glenna) Ver Steeg, all of Hancock, MN; three sisters, Jayne (Harlan) Asche, Raymond, MN, and Cindy (Don) Asche and Carla (Jim) Lonneman, all of Hancock, MN, and many nieces and nephews. He was welcomed into Heaven by his parents, Raymond and Clara Ver Steeg, and one granddaughter, Sophia DeLisle. Funeral services are under the care of Pedersen Funeral Home, Morris. An online guest book can be signed at www.pedersenfh.com.